Overview: Prior to being elected to Congress, Rep. Smucker owned and operated the Smucker Company for 25 years, and eventually grew the small business to employ more than 150 people. He attended Lebanon Valley College and Franklin & Marshall College. He served two terms in the Pennsylvania State Senate where he chaired the Committee on Education. In that capacity, he pioneered reforms to increase accountability in education spending and worked to ensure Pennsylvania students had access to quality education. Rep. Smucker led the charge to hold elected officials accountable by proposing reforms to the ethics guidelines. As a member of the Appropriations Committee, he made it a priority to rein in spending, and built a reputation as an independent-minded conservative who seeks creative solutions to complex problems. 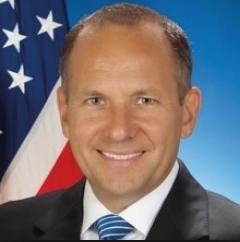 Rep. Smucker serves on the Transportation & Infrastructure and Education & Labor committees. He lives in West Lampeter Township with his wife, Cindy, and three children. Please join your GRA colleagues -- and build your Congressional network -- by registering today for lunch with Cong. Lloyd Smucker (PA) on April 30th at noon. (You may pay by check but must RSVP on our website so that we have an accurate headcount for this event) Register today! In order to register for this event, you must sign-in below. If you are not a Member of GRA or you don't already have a user account, please create a free account below, or join GRA and take advantage of the member registration pricing.